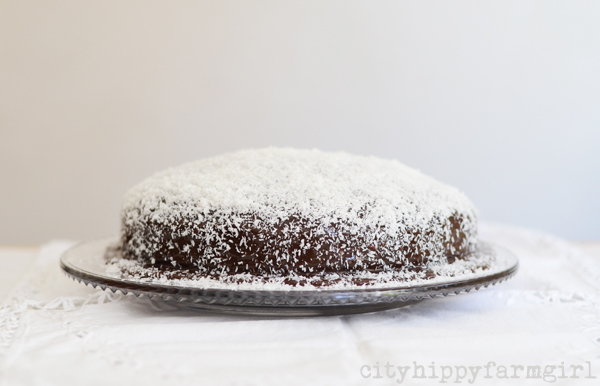 This entry was posted in Food Glorious Food and tagged australia day, australian food, chocolate, coconut, condensed milk, CWA, lamington cake, lamingtons, moist lamington, recipe, simple cake by cityhippyfarmgirl. Bookmark the permalink. This sounds awesome. Everything tastes better with condensed milk. Brydie you MUST enter this in the SMH Epicure lamington competition. They’re looking for unusual lamington recipes. I can’t find the info online but it was in the last issue of Epicure. excellent! I’m gonna try this with the girls. I have this can of condensed milk sitting in my cupboard for months now! Thanks! awesome Irene- let me know how it turns out! 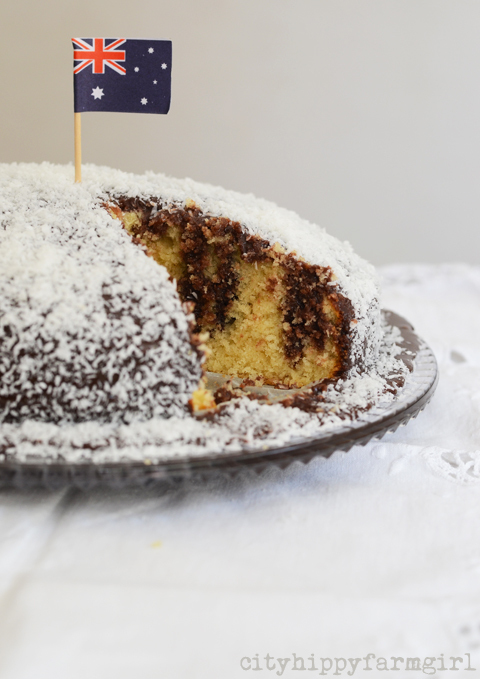 I am totally making this for the in-laws this weekend…I love lamingtons! The lamington lover in this household gave it the seal of approval Becs…even requested it for his next birthday cake. I hope you like it! 1. Would it work as cupcakes? 2. Excuse my ignorance, but I don’t quite understand the instruction re the milk “Leave cake to soak up mixture, occasionally bringing the condensed milk back to the centre to soak in at the top a little more” – what exactly do you mean by “occasionally bringing the condensed milk back to the centre to soak in at the top a little more”? (Do you mean add the condensed milk bit by bit, rather than all in one go)? I’d really appreciate some clarification on this point – thanks so much. Hmmm, cupcakes it could…I would do high sides though, otherwise they will be messy….as in the cake bit low, the container higher to contain the condensed milk. Ahhh!! The penny has dropped! “. . . occasionally bringing the condensed milk back to the centre to soak in at the top a little more” means move it back up from the sides of the cake tin to the middle of the cake, to allow it to soak evenly into the cake. Now that I get this I wonder if it would work for cupcakes – I think maybe not as the patty cases would probably end up being saturated with milk and perhaps even fall apart. It might work if I made them in muffin tins and left them in the trays while soaking up the condensed milk. Oooh! I love a dirty secret! I have one too 🙂 Great idea. I must try this! Oooh now what’s yours Sam! Just not my thing Johanna… It’s in the same ball park as chocolate cake. Give me something lemony any day! Yes I’d like to join as well. We should do it 🙂 Just. dont. mention. the. condensed. milk. Kari I wonder if schools still do the lammo drives? I’d say it would have been a huge highlight for many school kids growing up in Australia. I like the idea of condensed milk and chocolate, soaking into the the sponge cake. I do love lamington though. If it tastes as good as it looks, which I am sure it does, you are onto a winner!! G’day and YUM! Happy Pre-Australia day too! Your cake made me smile, so thanks for brightening my day, true! I’ve never heard of lamington cake- but this looks and sounds delicious and I’m going to try it when I need another cake for lunch dessert! 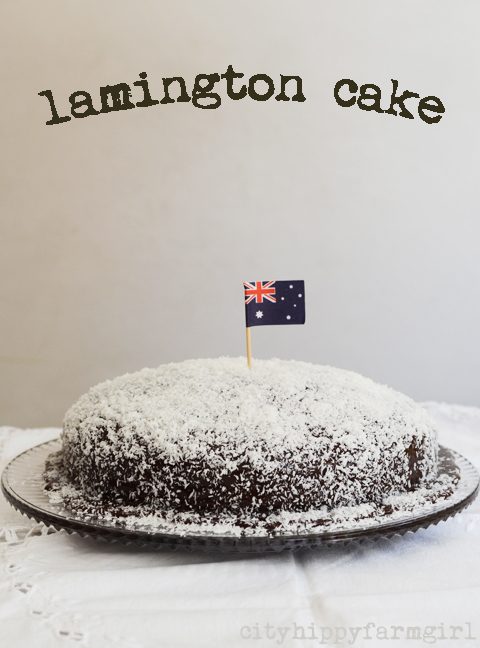 I’ve never heard of lamington but your version looks fab, definitely a cake to make you smile. I have a tin of condensed milk in the cupboard and very tempted to get baking. Perfect Lamington cake. The chocolate marbling is so enticing. Unfortunately I can’t eat condensed milk anything but I know a great cake when I see one. Good luck in the comp. Never heard of a Lamington before, but your version sounds great! Cocoa and coconut – I’m in! You so do!! Wow, you can make condensed milk out of anything. You too Tiff 🙂 …Swiss style? What a delicious twist indeed Brydie- yummo! Once you make your vegan condensed milk out of floor scrapings…what better way to turn it into a healthy dessert treat? So good to know what this lamington business is all about! Interesting cake ! i made it yesterday as a…morning birthday cake for my colleague anastasios! it was extremely delicious and all my colleagues loved it! thank you!